Chop Chop London is a brand new exciting startup. It offers luxury on-the-go hair styling, right at your fingertips. 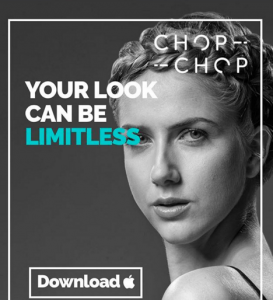 You simply download need to download the Chop Chop London app, complete a few steps and Chop Chop will get you styled. Startup Direct has been helping them along their startup journey. Chop Chop London looked at different types of funding available for startups but decided to go with Startup Direct and its startup mentors. As a young professional working long hours, earning enough and trying to have a life outside of work was tough. So the idea of paying upwards of £50 and spending a Saturday in a salon to get my hair done, just didn’t make sense to me. All I wanted was a reliable salon, where I could conveniently go to for a quick and affordable service. But after months of research with my now business partner, Kaye Sotomi, it became apparent that there was nothing in the market that catered to me, nor my diverse group of friends. The lack of diversity in the high street salon services was a real shock to us, considering we live in arguably the most cosmopolitan city in the world. Finally, we realised that there is a disconnect between the customer expectation and the actual services experience due to a lack digitisation within a large part of the industry. So rather than accepting this fate, we decided to work to bring change to the industry by launching Chop Chop London. Wow! my gosh- we have had so many issues to overcome. Like many other entrepreneurs before us, we decided to start a business in an industry we had no experience in which meant that we have had to learn how to start and operate a salon business from scratch. One of the first things we did was bring on our third partner, Sherman Hawthorne, a Vidal Sassoon trained celebrity hair stylist to help us with our startup. Our proposition also required us to be located in areas where customers can conveniently find us, but London has a real shortage of traditional business units. We decided to also enlist our talented architect Coline to design a mobile salon Pod, which would free us from this limitation. These are just a few of the lessons learned and we are still learning with every passing day. 3) What successes have you had recently with your startup? Many successes, it really feels great! The Chop Chop concept has been extremely well received by all who have come in contact with it and us. We had a soft launch with over 50 people which went amazingly well. We’ve caught the imagination and gained sponsorship from PHYTO (largest organic hair brand in France). TFL reversed a decision not to have us Launch in Old Street Station. We are currently speaking with other landlords who are very excited about the prospect of having us there. We have secured an international contract with an event company! We have a group of trained stylists ready to launch with us on the 30th of January – not to mention that we still have CVs steadily streaming in. We have a tremendous business plans for Chop Chop London. As a startup business and brand built by consumers (ourselves)- we want to build a brand that widely recognised for its attention to quality service, an approach to diversity and inclusiveness and the digitisation of the industry. We plan to start in London, but expand to other major cities in the UK and Europe. To do this we plan on growing our pool of talented stylists and starting a training academy. 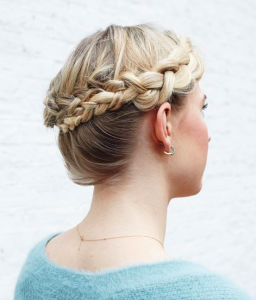 These stylists will help take the business forward as franchise owners. We hope to new incorporate features such as virtual reality into our booking platform and app so that customers can see how a style will look on themselves before committing. Finally, we want continue celebrating diversity through beautiful look and styling all types of hair. Our proposition is simple, fashionable hairstyling made easy, speedy and priced without prejudice. Funding is the biggest challenge we’ve faced. The business needs funding and so do we for personal living expenses. Loans are difficult to source in the brick and mortar bank industry, processes are very lengthy and not adequate to a startup business moving a hundred miles an hour. Startup Direct and The Startup Loans Scheme UK have provided us with a fast and professional loan which came just in time to prevent cashflow issues. 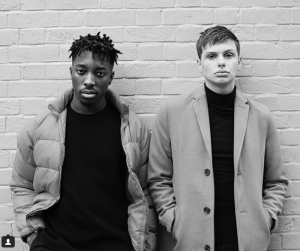 To see the new website for Chop Chop London, you can view it here https://www.chopchoplondon.com. Chop Chop London also have this video published on YouTube https://youtu.be/9ej1t1MtPec. You can continue to follow their story on Instagram here https://www.instagram.com/chopchopldn/.